We had accumulated a fair collection of concert/gig recordings from a variety of venues/circumstances and rather than choose one show, thought it might be interesting to set out with the intention of representing each gig over the course of two CDs. Being conscious of the continuing demand for the scarce CD 'R.M.I. At The October Gallery', we felt it fair to make available more of the music from that concert without reneging on the intentions of the initial limited release. There were return concerts at Jodrell Bank And The October Gallery to consider along with our adventures into the beer-soaked London toilet circuit, not forgetting our baptism of fire at the EMMA festival and the giddy heights of Klemdag. 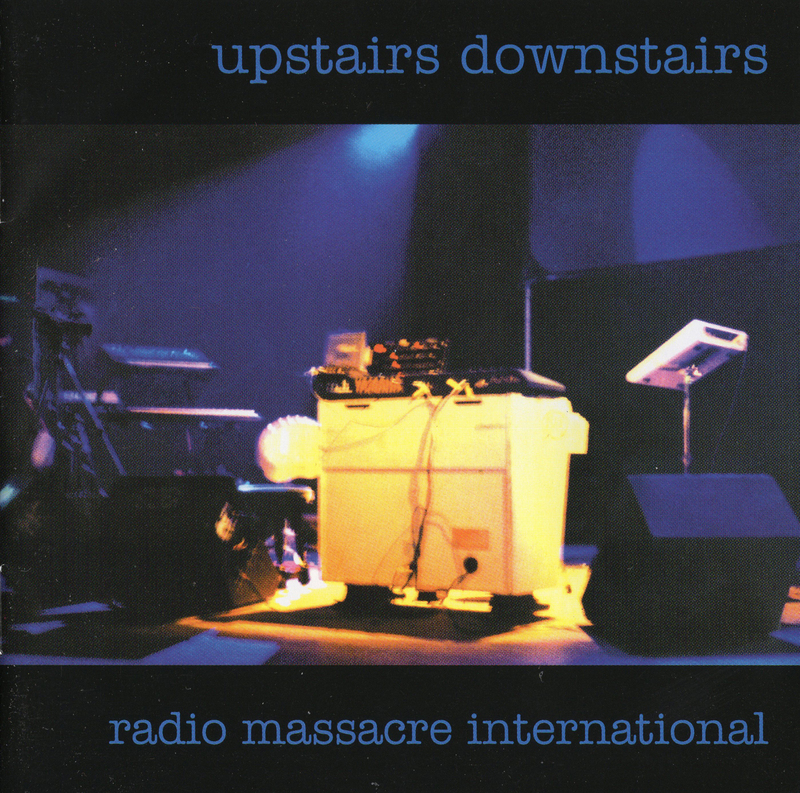 UPSTAIRS DOWNSTAIRS (together with the companion CDR 'Been There Done That'), represents literally a tour of R.M.I. 's various public appearances from plush concert hall to shoe-box sized hell hole.